Each year, about 10,000 school children and adults tour The MOOseum. The MOOseum opened in 1995 and offers a fun and interactive way for people of all ages to learn about Alabama’s $2 billion beef cattle industry. 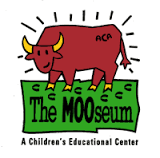 The hours of operation for the MOOseum are Monday-Friday, 8am-12pm and 1pm-4:30pm CST.